Happy Friday everyone! I am getting super excited for fall styles. The weather is changing so I had to bring out my trench coat. 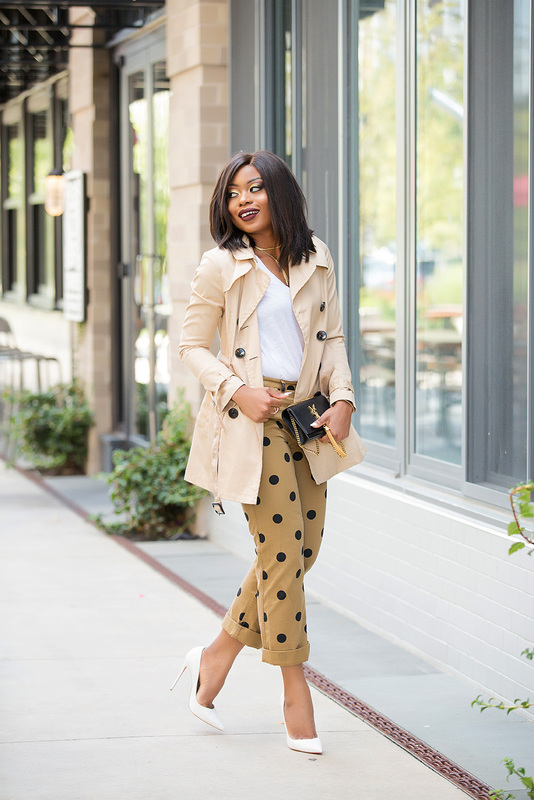 I love trench coats for fall transition because they are light and at the same time, can provide much needed warmth on chilly days. 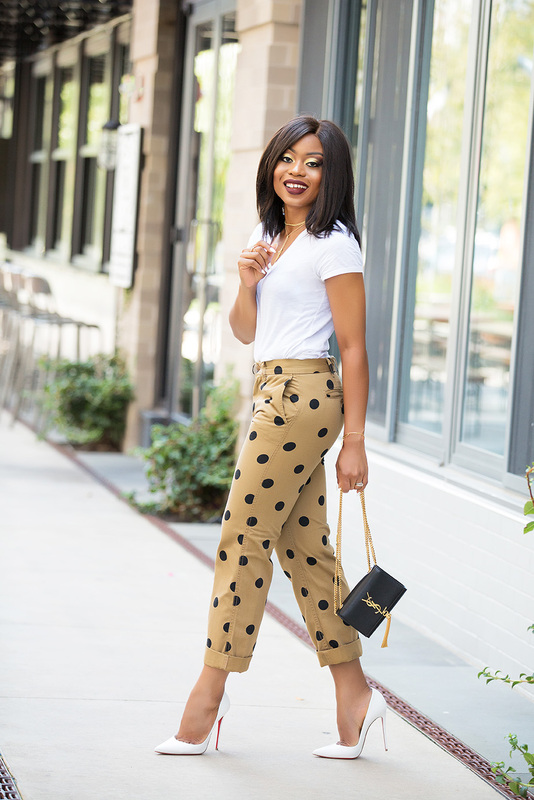 Today's look shows my continual love for neutral pieces and the comforting feel of this boyfriend chino pants is amazing. 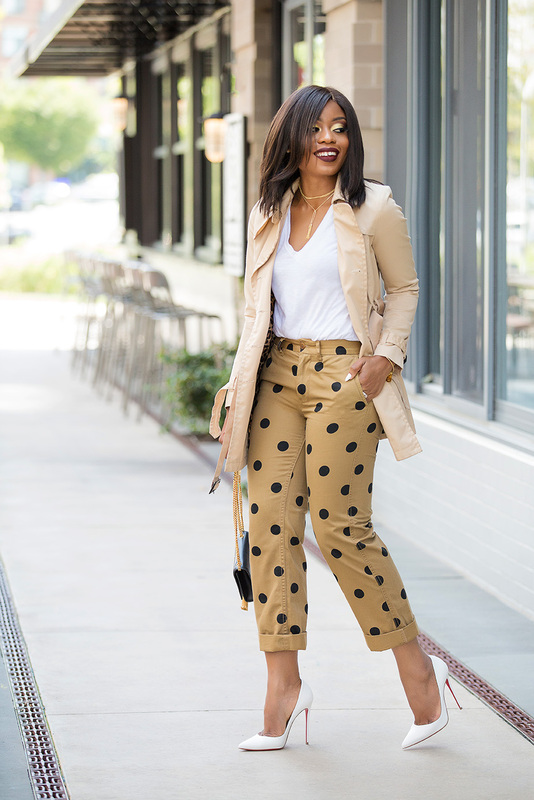 The polka dot details caught my attention and I had to pair it with another current obsession of mine - white pumps. White pumps go well with neutral tones and can make most looks feel so chic and different. I have styled white pumps in the past here and here but for today’s look, it is complementing the white tee.